She was treated with steroids for six months (prednisone 20 mg/day) and responded well, being asymptomatic and receiving no treatment since December 2000. As bone pain is the first symptom of this xanthogranulomatosis, rheumatologists should be able to recognise the disease in an early phase when treatment gives a better outcome. 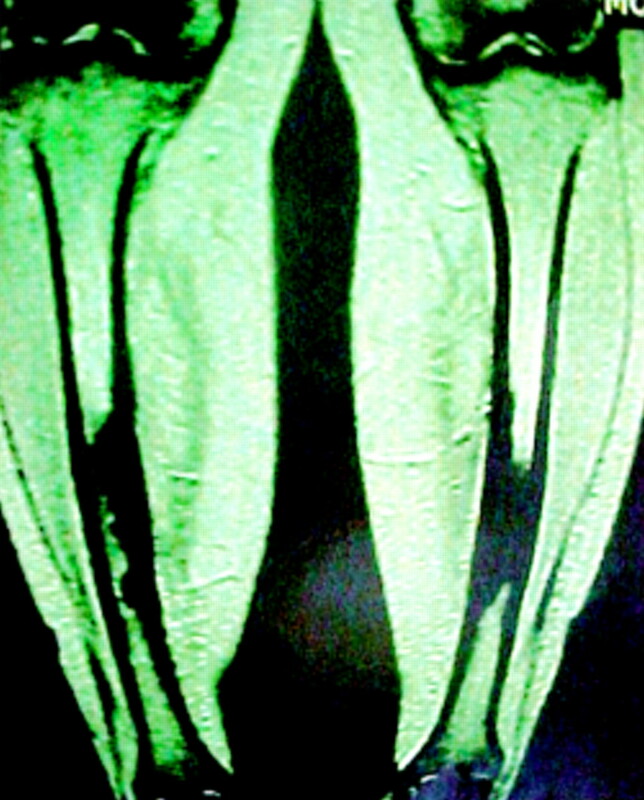 MRI showing a low signal on T1 and high signal on T2 of the medullar canal. 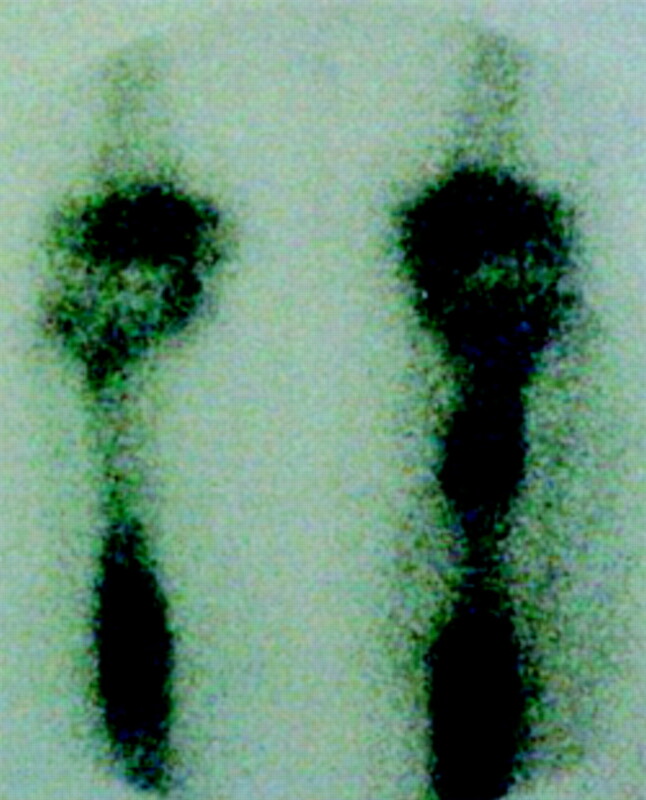 Bone scintigraphy with intense hypercapitation of the tibias. Breuil V, Brocq O, Pellegrino C, Grimaud AS, Euller-Ziegler L. Erdheim-Chester disease: typical radiological bone features for a rare xanthogranulomatosis. Ann Rheum Dis2002;61:199–200. Miller RL, Sheeler LR, Bauer TW, Bukowski RM. Erdheim-Chester disease. Case report and review of the literature. Am J Med1986;80:1230–6.